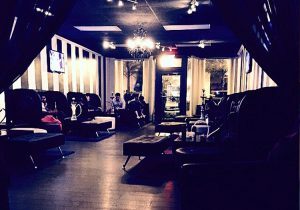 The Hookah Lounge was created to meet the need for a relaxing and enjoyable spot where you can enjoy hookah in a unique, high-end atmosphere. Whether you go out for hookah all the time or this is your first time, we would be happy to have you. We have the perfect laid-back atmosphere for date night, relaxing after work, or just to chill with friends. Treat your date to a night out with a perfect environment for conversation, give yourself a chance to unwind at the end of the day, or invite your buddies out to join you in choosing the perfect shisha blend. Our lounge was made for your enjoyment. Quality is of the utmost importance at The Hookah Spot. Our goal is to be the very best at what we do. We only carry the best because you deserve the best when you smoke. That includes offering all-natural coals, both American- and Egyptian-made hookahs, and the famous Tangier premium brand shisha. To learn more about us and how we can help you, please contact us today. We look forward to seeing you in tonight, or even this afternoon for our specials!